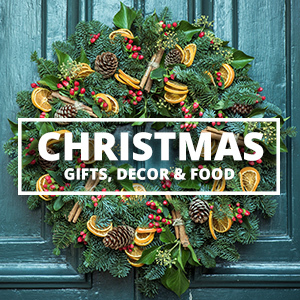 We love a good upcycle. 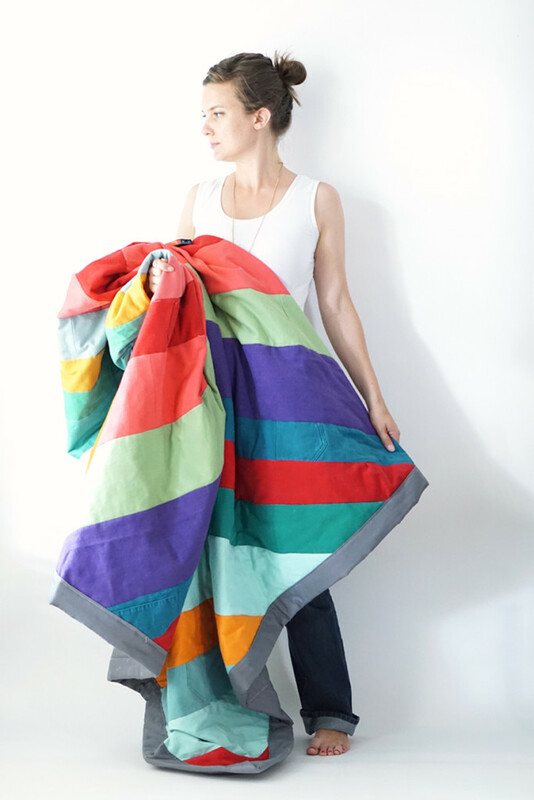 Reusing clothes is definitely a favorite upcycle medium around here. Not only do I have stacks of old t-shirts but I also have stacks of old denim. While looking for great ways to reuse denim, I found these nice projects that leave “country” behind. 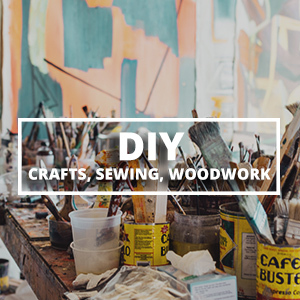 They’re great denim upcycle ideas that are both useful and nice looking! 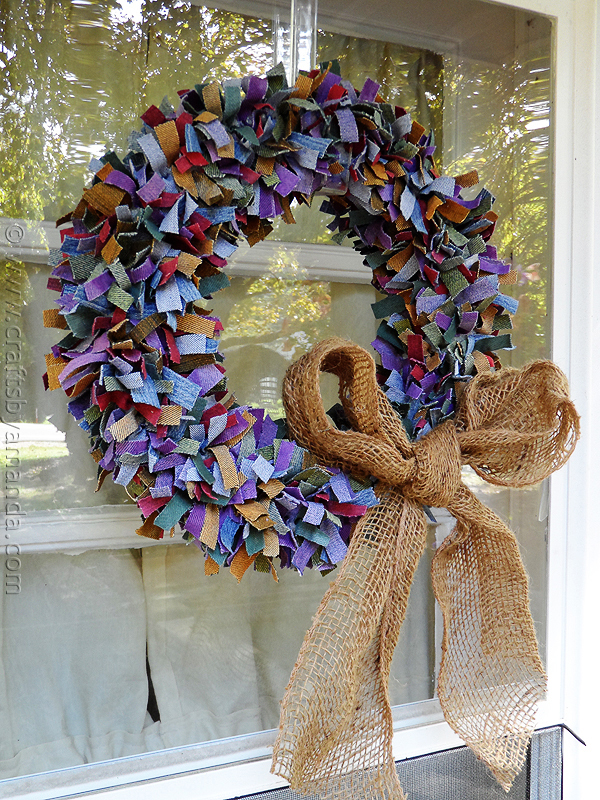 Upcycled Denim Wreath : Crafts by Amanda // What a fun wreath that will stand the test of time! This will last forever! Such a cheerful way to repurpose colorful denim! Beautiful Upcycled Denim Quilt : Andrea’s Notebook // This gorgeous quilt is made from brightly colored denim. 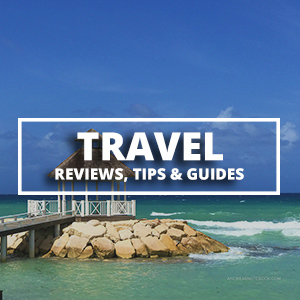 Don’t cast off those jeans that are no longer in style! Make a quilt that will last forever! This would be perfect for outdoors too. 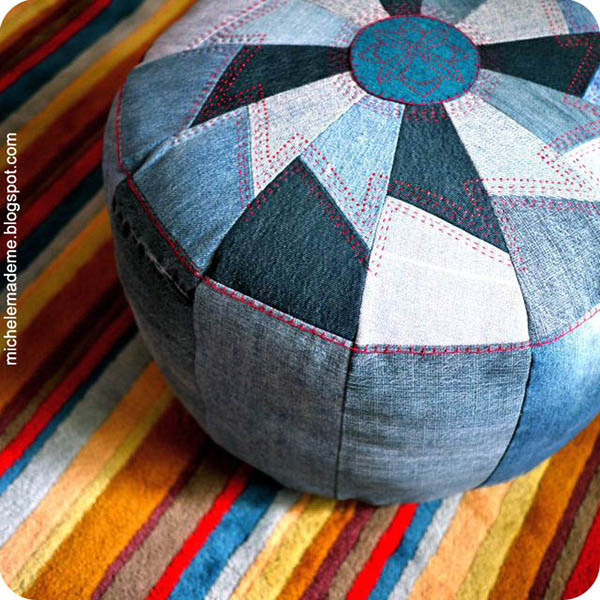 Round Denim Rug : Ohoh Blog // Turn your old jeans into a tough play rug! 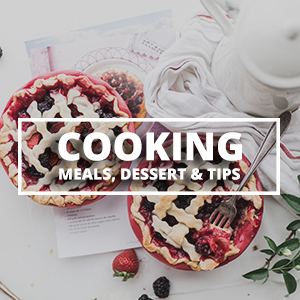 This is an easy project, even for beginners. 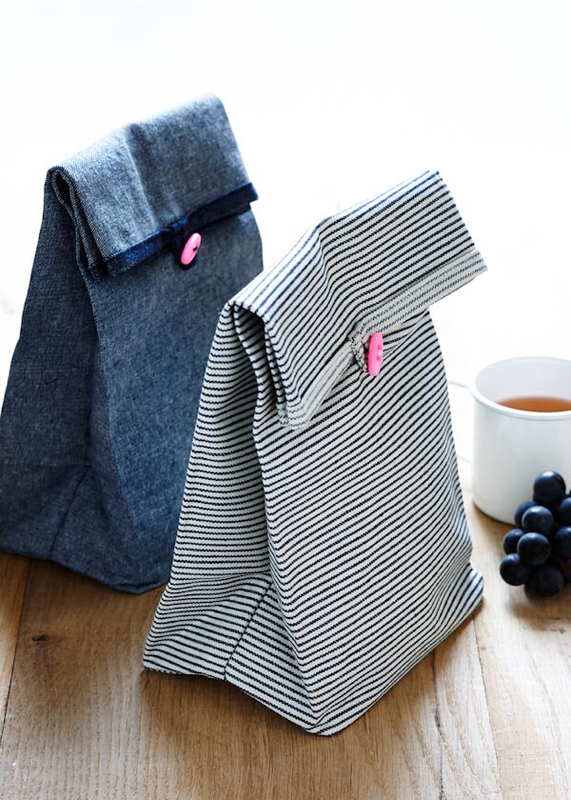 Denim Lunch Sack : Purl Bee // The Purl Bee always has such great ideas. Denim makes for a sturdy lunch sack that you can wash! 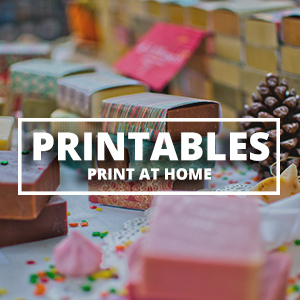 Pocket Change Gift : Eighteen25 // Once you’ve used all the legs of your jeans in other projects, save the pockets for these cute gift cards! 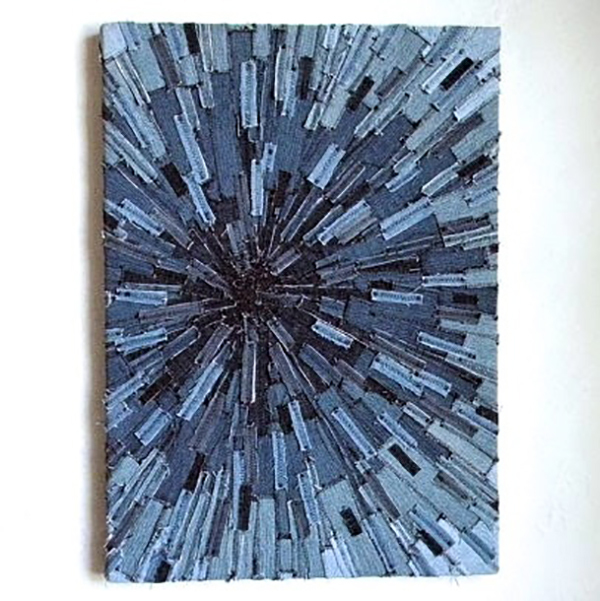 Upcycled Denim Art : Belrossa // Ooh! What a unique idea! Great mixed media wall art. 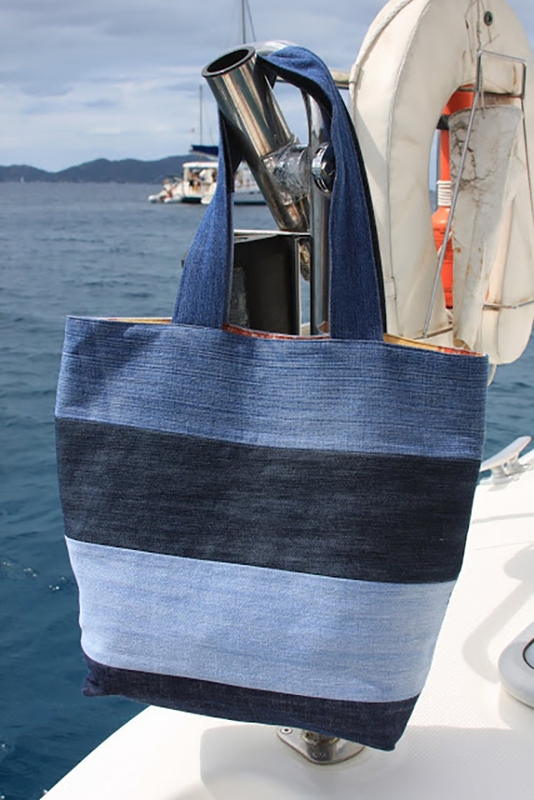 Denim Striped Tote : Christy Chase // Sew a nice and sturdy tote bag for carrying all your goodies to the beach! This would look great with colored denim as well. 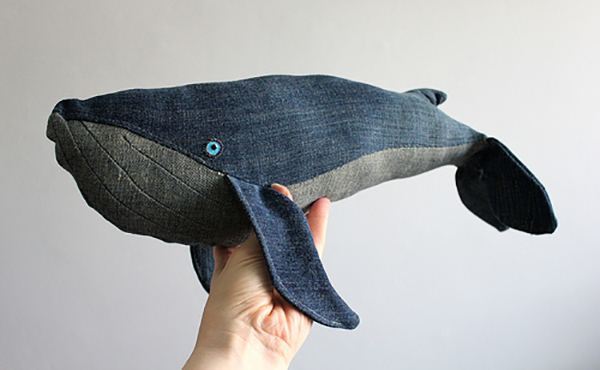 Denim Whale Toy : Valaan Villapaita // Turn their old jeans into a toy they can treasure! 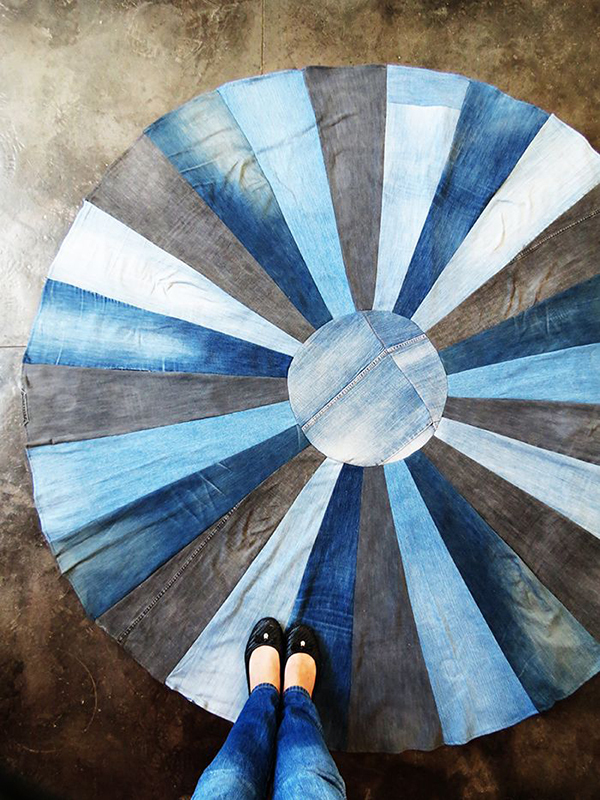 Denim Floor Pouf : Michelle Made Me // The stitching on this really makes such a bold statement! That applies for all these denim upcycles! Consider using a heavy topstitch with contrast thread! Upcycled Potholders : Aarnilintu // The pocket makes a handy place to put your hand! 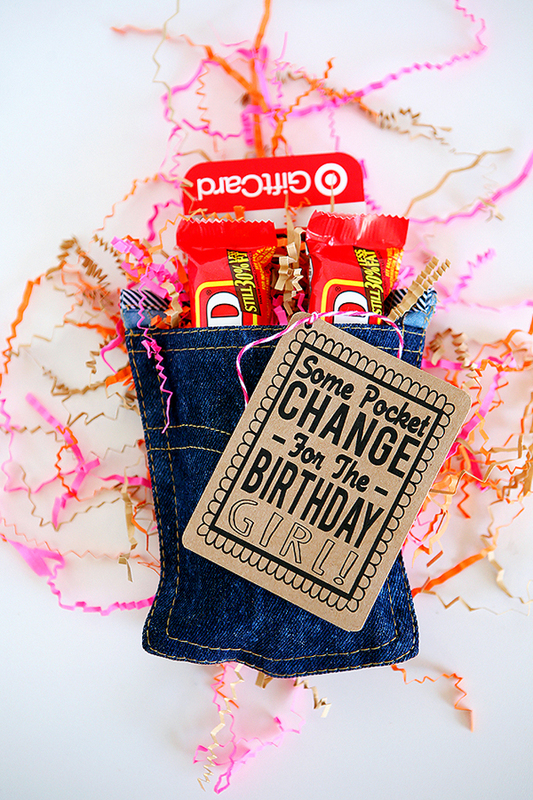 What a clever reuse of a pocket! These are all so great ideas! 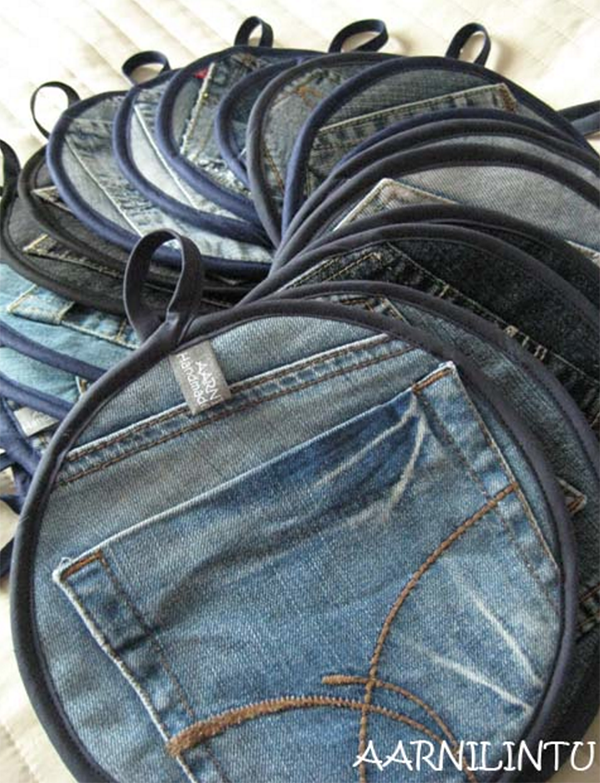 I have a pile of old jeans in the basement that just need to be thrown away, but I’m thinking all the time how good it would be to turn all those old pairs onto something useful. 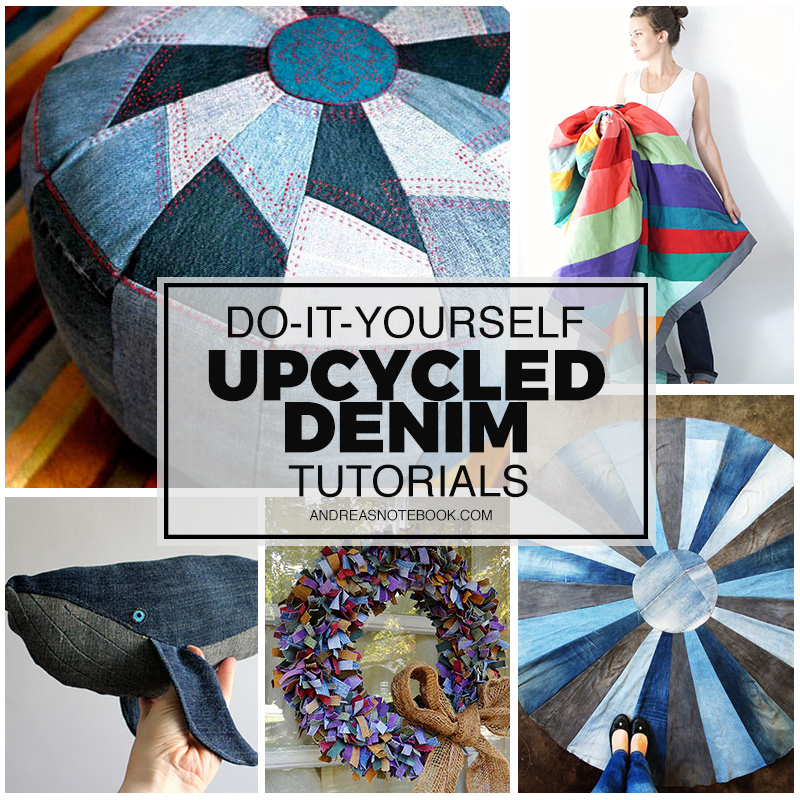 Here are some great ideas for me to try, so now’s the right time to recycle all my old jeans. Thank you for the inspiration! And you know such things become even more precious, cause you know that it’s done by hands. You put your emotions, you care about the people you make it for. Nice Ideas! Very Creative! Thanks.